Exhibition opens and continues throughout the day. 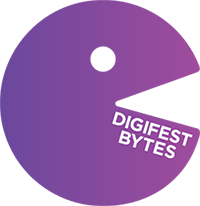 Read more about our Digifest 2016 speakers. The first of day one's parallel sessions take place. There are a range of session types. You are free to choose on the day which you attend. You will have the opportunity to attend more than one session in this time. Speaker: Neil Jacobs, head of scholarly communications support, Jisc. Speaker: Dan Perry, director product and marketing, Jisc. Facilitators: Loughborough College's e-learning team: Rachel Challen, Matt Aldred, Andrew Ironmonger, Dan Vaughan, Ricky Snodgrass and Barrie Edmonds. This session will give a taster of the CPD session ‘Enigma’ which was designed and run at Loughborough College in 2015. The aim of the session was to demonstrate to colleagues how learning technology could be used to support and enhance the embedding of maths, English and digital capability skills. Colleagues on the day were immersed in an experience of subterfuge and code breaking activities in order to ‘crack the code’. Attendees to this session will be able to see the experience, engage with activities and receive a copy of the skills wheel which shows the full remit of skills used in the CPD session. This specialist interactive workshop has been designed by HM government as an introduction to the Prevent strategy. As an employee within education, you play an integral role in the success of Prevent. The workshop will help you use your skills and professional judgement to recognise individuals at risk of becoming involved in, or supporting, extremism. The aim is to arm you with the relevant safeguarding practices and support mechanisms to help individuals, before any crime is committed. Join us to explore these topics and find out more about Prevent. Speaker: Jamie Izzard, Pervasive Networks. Day one's third and final parallel sessions take place. Speaker: Richard Maclachlan, assistive technologist/ILT mentor at Runshaw College. Managing the risks posed by inappropriate web content can be like finding your way through a maze. Our web filtering service can help you to safeguard users from inadvertent exposure to illegal material, mitigate network security risks and free up time for more productive activity. Visit our experts in this surgery session to help trouble shoot any challenges you’re currently facing and to help you manage these risks. This session will demonstrate a working prototype of the digital capability service and will demonstrate how the service will function. Using the finalised digital capability framework, this session will take participants through the concepts behind the framework, the service design, the discovery tool and the online offer. They will be able to discover their own digital capability and decide what will be their next steps to build their capability. Drinks reception - open to all festival attendees. Digifest Bytes is our event dinner and will take place in the ICC. Tickets are required. Exhibition opens and continues throughout the day until the festival closes. The first parallel sessions of day two take place. Digital technology has the power to open up research so it is quicker, accessible and participatory. This session will highlight examples of innovative practice and solutions for open research, including the sharing of research results throughout the lifecycle and the re-use of research by others. There will be a panel discussion that will cover what open research means and that will debate what needs to be addressed to achieve it and the related open research aspirations. The Digital Technologies and Mobile Learning Network serves to support the enhancement of teaching and learning across the University of Hull Federation of Colleges, addressing the needs of teaching staff, students and researchers interested in exploring the use of mobile technologies in education. Day two's final parallel sessions take place. In this session there are a series of talks on a range of critical issues. You are free to choose on the day which you attend. The Wakeham and Diamond reviews recommend asset sharing within and across UK universities as a means of greater efficiency in the sector. Sharing information about equipment in institutions and across the sector is a critical building block to drive new practice and collaborations. In this session we will discuss the case and the benefits that could be achieved from asset sharing. It will also highlight how this can be made sustainable through the delivery of some innovative shared services. The workshop activity will explore participants experiences and seek to identify the gaps there are in achieving the goals of efficiency and sharing. The programme may be subject to change. We will do our best to avoid this, and we will inform  delegates of any changes before and during the event. Our plenary speakers are all leaders and experts in their field. Each Digifest 2016 plenary session will consider the power that digital that has, each session exploring one aspect of this in greater depth and detail. Through presentations, facilitated discussions and Q&A sessions, speakers will provoke, reflect and hopefully inspire – leading us to reflect on how we can make the most of all that digital has to offer. Exploring a single topic, and drawing on Jisc and sector expertise, Digifest 2016 talks will reflect on and discuss the critical issues around digital today, considering what is on the horizon - for digital, for Jisc and for your organisation. Showcasing the power of digital in practice, Digifest 2016 workshops will draw on experiences of providers from across the UK, and should provide you with insights, ideas and tips to take back to your organisation. These provide opportunities for you to see Jisc products and services in action talk to Jisc experts about how to put them into practice, and learn more about how they can solve your problems and be used to greatest effect. Remember to look out for the special demonstration sessions brought to you by Digifest sponsors and exhibitors.